Rohayl Varind (روحیل ورنڈ) is an International Award Winning Social Entrepreneur, Innovator & Activist. Winner of World Summit Youth Award 2014-2015 in Sao Paulo, Brazil from 1898 submissions, spanning 138 countries, impressing a panel of 40 jurors from all corners of the globe. Moreover World Summit Youth Award is considered as World's biggest youth award. Born in a modest Muslim family in Pakistan, Rohayl, began developing deep faith in the humanity and its diversity at a very raw age. But more so, he was appalled by what humankind was going through, not just his own home country Pakistan, but in the world too. Corruption, inequality, lies, apathy, crimes, injustice and what not. Although, he could've shut all those feelings out and lived like an average teenager, but he didn't. In fact, he let them flow out from a very young age of 14. Today, Rohayl is a well known symbol of social justice & humanity to thousands across Pakistan. With high hopes and dreams, he intends to make Pakistan a country, the Quaid had envisaged. Rohayl Varind, was like any usual kid of a developing nation, until one day in his teens he realized that he was not satisfied with how this world has shaped up, especially his country. A country where there's portrayal of so much hatred and loss and so little good and lesser smiles being propagated and much lesser an awareness regarding the things going wrong. A definite and unrelenting urge overcame him and despite of limited resources, he nurtured and still nurtures unlimited dreams to make Pakistan and this world a better place to live. To achieve his goals, he may face many enemies, many hurdles but he is strongly determined to liberate his fellow Pakistanis from their miserable lives because of corruption, poverty and injustice that has crept into the roots of the country weakening its integrity, come what may! Along his journey towards peace, he has been through unimaginable turmoils and yet received unthinkable happiness-es. It has been a path of not just giving smiles and affection, but also receiving blessings which otherwise would have been impossible. Currently, he keeps treading the path of revolution to attain his objectives and principles for the betterment of mankind and his nation alike, while accomplishing new heights along the way. At first, it was a usual norm to face heavy criticism in a resource-lacking and still growing nation like Pakistan. Yet, the sheer number of people that joined in the journey and all the love, support and, above all, the prayers that he received have been the biggest rewards. No world record or award can match that. World's biggest youth summit award. Being chosen by 40 Juror from amongst 1898 developers, innovators & social entrepreneurs who contended from 138 countries was enormously breathtaking. His revolutionary work and services for humanity and his nation were duly respected, and he was invited to Sao Paulo, Brazil this year to receive the award for his hard work, dedicated activism and bold social entrepreneurship. Commonwealth Youth Council (CYC) has published Rohayl Varind's detailed Profile in its annual International Publication “Commonwealth Young Achievers 2015-16”. This book compiled success stories of 112 young people from across the Commonwealth countries of the world from different backgrounds. The book presented stories of success, challenges and hopes of young people from 41 countries in the Commonwealth, among which 32 from Africa and Europe, 29 from Asia, 23 from Caribbean and Americas, and 12 from Pacific. The Commonwealth Youth Council (CYC) is one of the largest and most diverse youth-led international organisations. Representing 1.2 billion young people from across 53 countries of the Commonwealth. The World Summit Awards are a HIGHLY DIVERSE AND DEMOCRATIC AWARD SYSTEM, that selects and promotes the world’s best digital innovation with impact on society. The World Summit Awards has been initiated in 2003 in the framework of the UN World Summit on the Information Society (UN WSIS) held in Geneva. WSA stands for the worldwide selection & promotion of digital innovation with a postitve impact on society & the encouragement of young entrepreneurship. WSA works with a daily growing network of thought leaders, innovators, entrepreneurs, government and business representatives and young founders. To date more than 178 countries are actively involved. World Summit Awards events are held in USA, Mexico, Canada, Austria, Brazil etc. 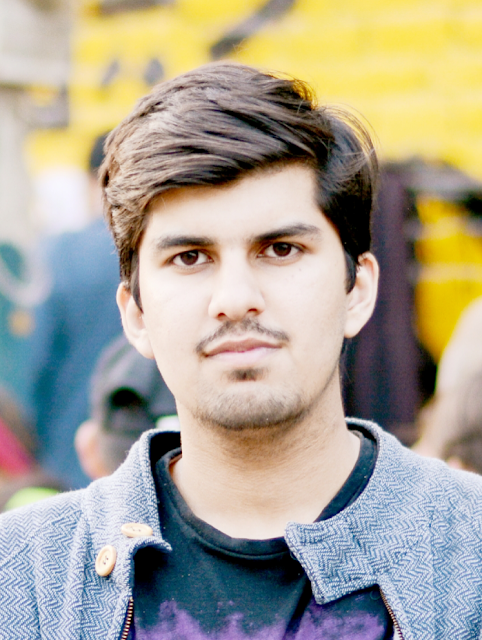 Rohayl Varind has been named as first jury member from Pakistan for WSA Young Innovators Award 2017 by World Summit Awards. The jury consist of top entrepreneurs & innovators from more than 60 countries. WSA Young Innovators Award 2017 has received around 500 submissions from almost 100 countries. WSA Young Innovators is a special recognition for young social entrepreneurs under 30 years of age, using ICTs to take action on the United Nations Sustainable Development Goals (UN SDGs). Together with the WSA winners of each year, they are honored as outstanding digital innovation with social impact. About World Summit Award: WSA works with a daily growing network of thought leaders, innovators, entrepreneurs, government and business representatives and young founders. To date more than 178 countries are actively involved. WHAT ARE THE WORLD SUMMIT AWARDS? The World Summit Awards are a HIGHLY DIVERSE AND DEMOCRATIC AWARD SYSTEM, that selects and promotes the world’s best digital innovation with impact on society. WSA has been initiated in 2003 in the framework of the UN World Summit on the Information Society (UN WSIS). It contributes to the UN SUSTAINABLE DEVELOPMENT GOALS AGENDA by recognizing local digital content with an impact on society, demonstrating the richness and diversity of innovative applications. To date more than 178 COUNTRIES are actively involved, making the World Summit Awards are a GLOBAL HUB for everyone who values the crucial importance of local content to make today’s information society more inclusive. Be it an app to help the blind using smartphones, or a website reanimating history – the World Summit Awards offer A PLATFORM FOR THOSE, WHO THINK BEYOND THE BOX. Pakistan's First Solar Night School. Slum School is my social entrepreneurship project. It's an attempt to educate children living in slums of Pakistan. It's an attempt to win war against poverty, illiteracy & terrorism. Slum School is a system of education designed for the deserving yet underprivileged students. 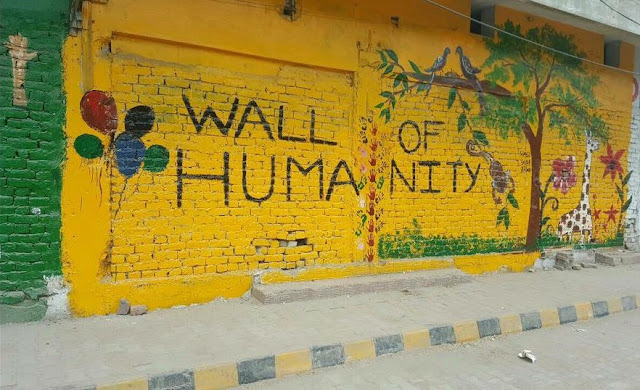 Since its inauguration in 2016, it is teaching more than 65 students with free provisions of food, bags, books, clothes, sports items and stationary in the slum of Faisalabad. Pakistan's First Solar School Bags. Our Solar School Bags are fitted with a portable solar panel, battery and a box that turns bulbs on by providing up to 8 hours of light for studying & doing homework at night. Our Solar School Bags helps and support not only 1 child but minimum 12 children. As our solar bags has long lasting battery with 2 bright bulbs with long wires. Kids living in slums & underprivileged areas of Pakistan mostly don't have sources of light to study at night, or to do their homework because of no electricity. Our Solar School Bags charge during the day so children can study at night. Our Solar School Bags can help and support not only 1 child but the whole family. Our Solar School Bags are also a source of help for the family in their household chores for e.g cooking, sewing etc. There are still several areas of Pakistan that don't have adequate access to electricity. This means at night-time, entire communities are plunged into darkness. In order to ease these everyday problems, Rohayl Varind transformed simple School Bags into Solar School Bags. Times of Youth is an International Youth Magazine read by the youth of more than 82 countries. Times of Youth brings the latest Youth Opportunities, News, Interviews, Fully Funded Scholarships, Paid Internships, Future Stars, Rising Stars, etc. Rohayl Varind's magazine 'Voice of R' was declared a finalist of mBillionth award for his magazine “VOICE OF R” & was invited to New Delhi, India for the Award Gala. mBillionth award is one of the most influential & leading platform to explore, recognize & honor the best practices in Mobile & Telecom Industry across South Asia. -He was appreciated & featured by Embassy of United States of America. -Federal Minister of Pakistan, Ahsan Iqbal has recognized his efforts and offered him the services of the planning commission for his project Voice of R.
-First Pakistani to receive award in Brazil. -Created World's first "Revolutionary Youth Magazine"
-Published Faisalabad's First Youth Magazine.